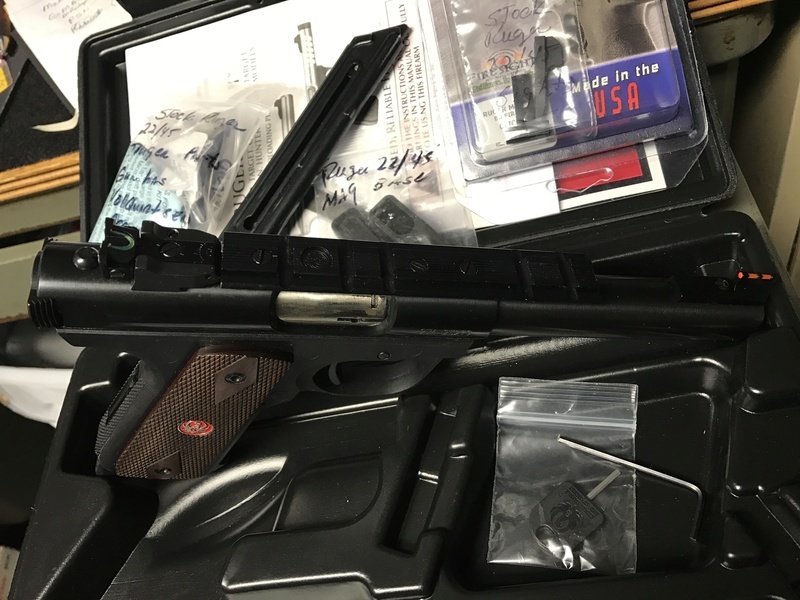 Selling a new condition Ruger 22/45 MKIII 5.5'' Bull barrel 22 target pistol. i built this for my oldest son to shoot indoor league with me. Which he did all of one time. I bought this brand new then gave it the full Volquartsen internal parts upgrade including trigger with over travel stop screw,sear,hammer,hammer bushing,and spring kit along with several parts from Tandemkross who also makes match grade parts for the Rugers. 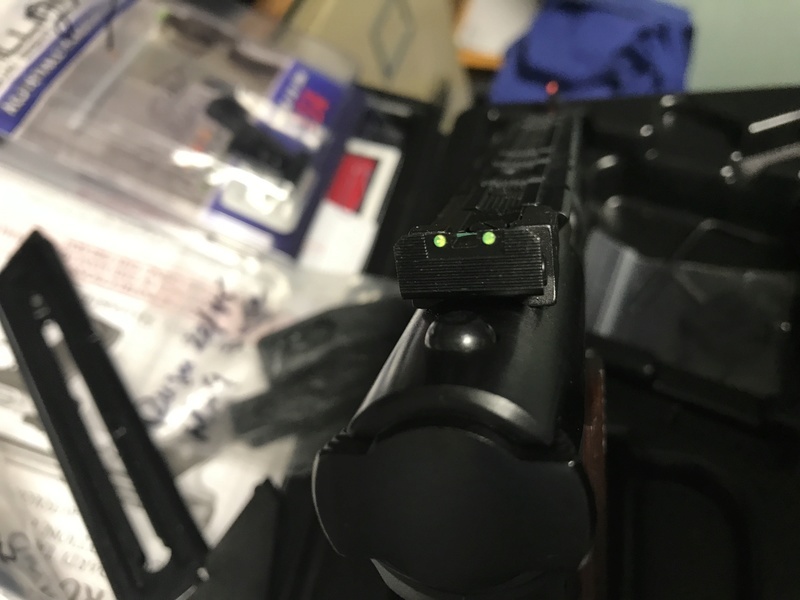 Two tuned magazines with extended quick release bases, and then upgraded sights to Williams Fire sights, fiber optic front and rear with adjustable rear. Also has weaver rail for adding a red dot. 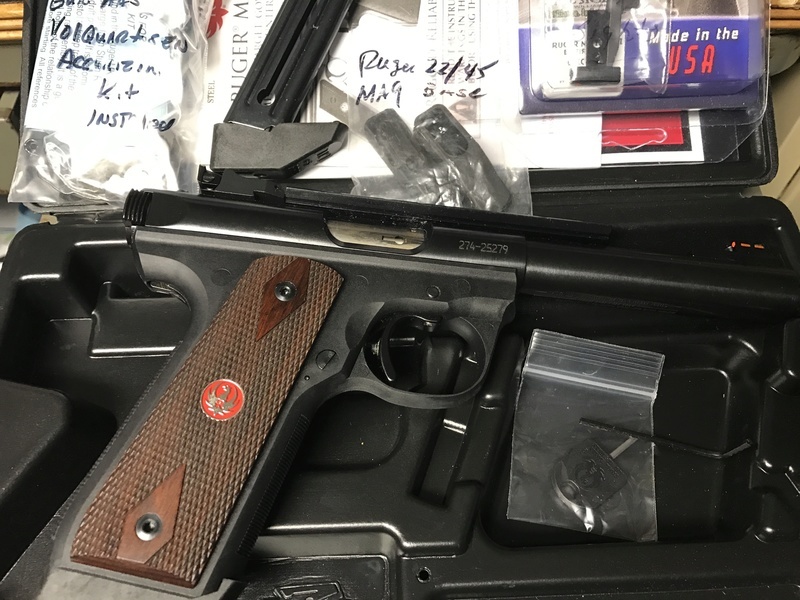 Excellent shooting and reliable has very smooth short roll trigger, comes with all original parts, box,books,ruger lock and original sights. 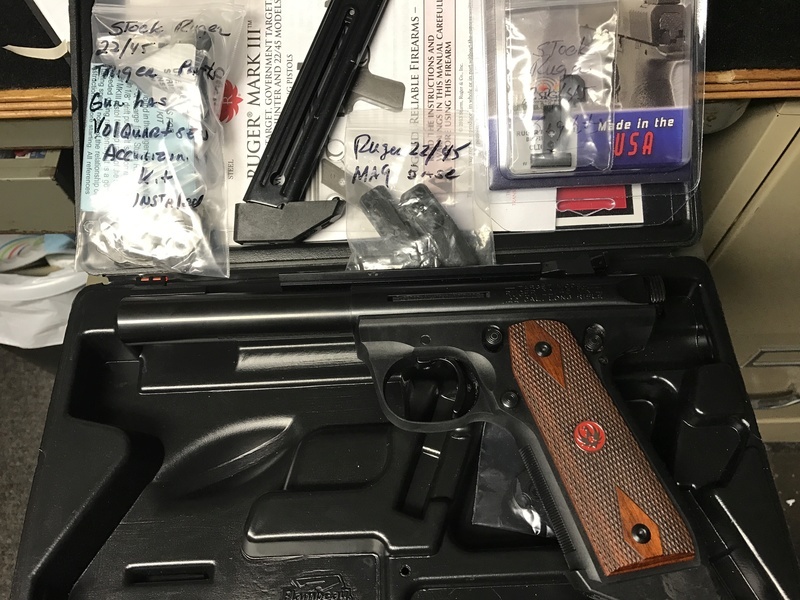 You wont find a better shooting 22 at this price range,This would make a great starter, back up or DR target pistol over 600.00 invested 450.00 including shipping to your FFL contact me at hwy92gun@bellsouth.net if interested. I am trying hard to come up with a reason to buy this. I've got a SR 22 with less than 100rds through it and add a few $ if your interested. Sorry i just need to sell to recoop some funds for another project but thanks for the offer.